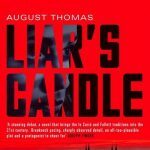 Robyn Walton, Sisters in Crime’s Vice-President, spoke to the wonderfully-named August Thomas about her debut book, Liar’s Candle (Simon & Schuster). Hello, August, and congratulations on the publication of Liar’s Candle. You’ve given us an espionage thriller set in contemporary Turkey, your protagonist a young woman who’s an intern at the US embassy in Ankara. I guess you’ve been busy with launches and promotions on both sides of the Atlantic? Thanks, Robyn! It’s been a whirlwind. Here in the US, I did a bunch of events at bookstores and universities – even a train station. It looks like I’ll be heading over for some more in the UK this northern autumn. It’s been an incredible experience so far, but I’m also really grateful for a chance to catch my breath a bit and focus on book #2. In your media interviews there’s been mention of a few factors that may have influenced your choice of subject and genre. First, there was your enthusiasm for Tamora Pierce’s YA fantasy-adventures. Pierce’s Circle universe has its roots in the Middle East and Central Asia in medieval times. Any comments? I went through a big Alanna phase when I was around 13/14. 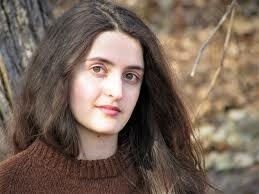 (The Alanna books are Tamora Pierce’s YA fantasy series about a girl who becomes a knight.) More than anything else, I loved how strong and determined the character of Alanna was. She was caring and ethical and stubborn and fierce. Plus, she had a magical talking cat. I never really clicked with the Circle books. My interest in the Middle East was sparked by firsthand experience more than anything I read. Also, you’ve been a long-time reader of crime fiction in the Agatha Christie tradition. And you like spy-action movies of the James Bond and Jason Bourne variety. We have a fabulous collection of crumbly-paged vintage Agatha Christies. I came to the spy thriller genre mostly through film and TV. One of the most brilliant I’ve seen recently is The Americans. You first visited Turkey in 2007, aged 16. That part of the world must have presented quite a contrast to the New England region of the US where you’d grown up? When she first arrived in Ottoman Turkish territory, Lady Mary Wortley Montagu (a fabulous 18th century writer) said, “I am now got into a new world where everything I see appears to me a change of scene.” That was pretty much how I felt seeing Istanbul for the first time. I’d never even been in a mosque before. Among other activities you then learned the Turkish language, did a Master’s degree in Istanbul, and began researching diplomacy and intelligence collection. When did you feel you were ready to try writing an international thriller? Let’s talk about your storyline by way of considering a few quotes. Intern Penny Kessler recovers consciousness in an Ankara hospital. A senior State Department official hisses: “You were supposed to translate newspapers. You got the goddamn Embassy blown up. … So you be grateful if we don’t charge you with treason.” What’s going on at the beginning of your novel? Penny is a 21-year-old summer intern at the US Embassy in Ankara who survives a massive terror attack at the Embassy’s Fourth of July party. When she wakes up in the hospital, she discovers that everyone – from the CIA to the Turkish government – is convinced she knows the truth behind the attack. The problem is – she doesn’t! Making an ingenious escape, Penny winds up in a poor neighbourhood. Young American CIA operative Connor catches up with her. Their vehicle is blown up. “Which of us were they trying to kill?” Connor asks. Penny and Connor become joint fugitives on a mission. This gives your narrative its shape for the rest of the book. You take your characters to strange places and into increasingly terrifying adventures. Did you plot in advance or “fly by the seat of your pants”? I flew by the seat of my pants, which meant I got to figure out Penny’s escapes along with her. Then I edited the heck out of it. Turkey’s recent history has been volatile. President Erdogan reacted to the 2016 attempted coup with a crackdown. Following the June 2018 elections, he retained his leadership, with expanded powers. Your thoughts? Great question. It’s so important that people outside Turkey are aware of what’s happening. Since the coup attempt, President Erdogan’s crackdown on free speech and free assembly, the unjustifiably extended state of emergency, and the politically-motivated firing and detention of thousands of people, have been devastating to human rights and the rule of law in Turkey. Many academics, writers, and activists have lost their livelihoods, or even their liberty. I have great faith in the resilience of Turkish civil society, but there’s no doubt it will be a challenging road back from this. You have a two-book deal, have promised readers a second Penny Kessler thriller, and have been travelling in eastern Europe and the former Yugoslavia. How’s the writing coming along? Finally, August, are there any other things you’d like to tell us about Liar’s Candle and the experience of writing it? Only a funny Australia connection. When I lived in Turkey, first as a student and then as a travel writer, I had one fabulous Australian straw sun hat which I “borrowed” from my mother and wore EVERYWHERE. Some of my Turkish neighbours thought it was hilarious, or at least peculiar, but I didn’t mind. It came with me to many of the locations I ended up using in the book.